The Shhh...™ was made to give parents a break and designed with science in mind. 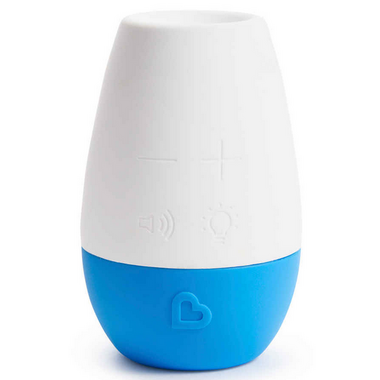 It features three specific sounds to first calm down an upset baby (shushing noise), lull them into a calm state (heartbeat noise), and eventually keep them asleep (white noise). This portable, battery powered gadget, is a life-saver when baby is away from home, but needs to get some rest. 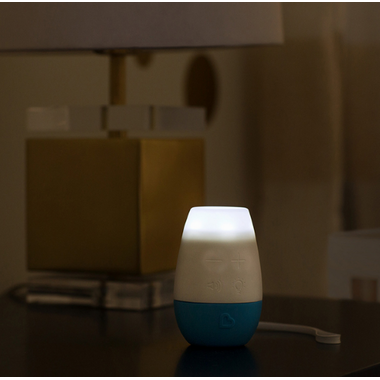 It also features a timer, and nightlight which can even pulse in sync with the noise. Hopefully this soother saves a few parents from running laundry or riding in the car in the middle of the night just to keep their sanity! It's ok just not what I expected. It is small (amount the size of a standard coffee cup) which makes it good for traveling. The white noise sound is good. I was expecting the light to illuminate a room better.